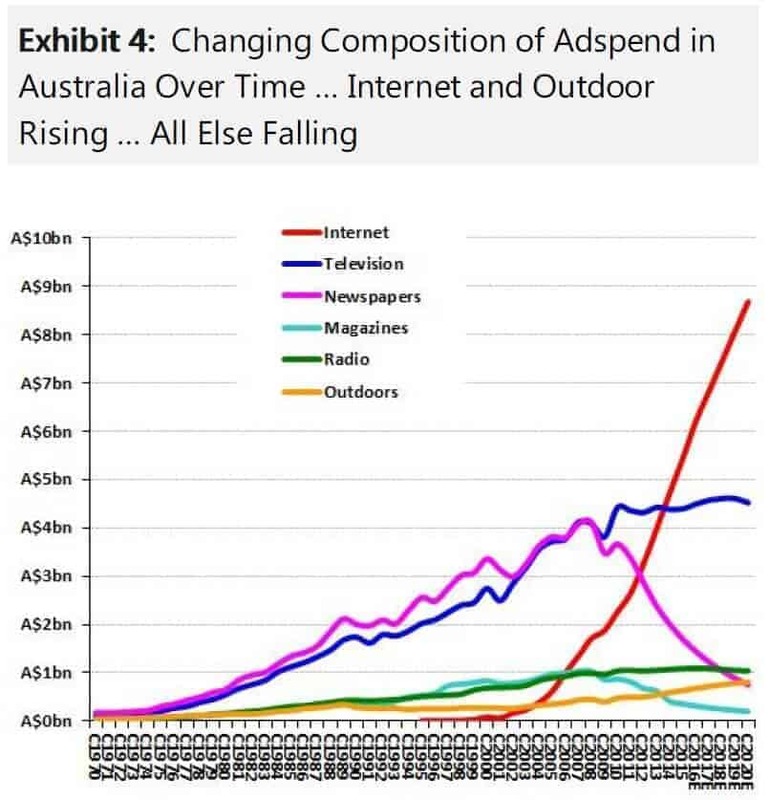 @MarkRitson used this Morgan Stanley chart showing Australian advertising spend by medium over the last 5 decades to demonstrate how the Internet (essentially #facebook and #alphabet) has hammered Newsprint. The battleground for your screentime begins in earnest with Amazon looking to eat the established players Lunch. 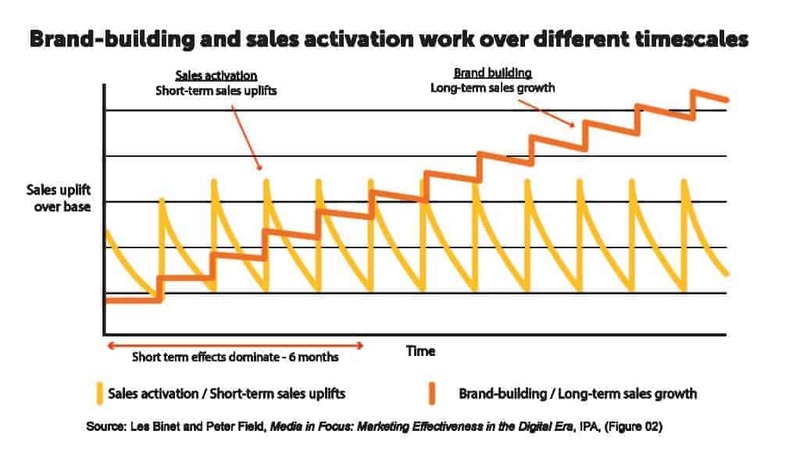 Ritson also used this chart from Les Binet and Peter Field which shows the incremental sales effectiviness of long term brand building – using a lead and secondary medium – and not just tactical direct advertising in your brand campaigns. 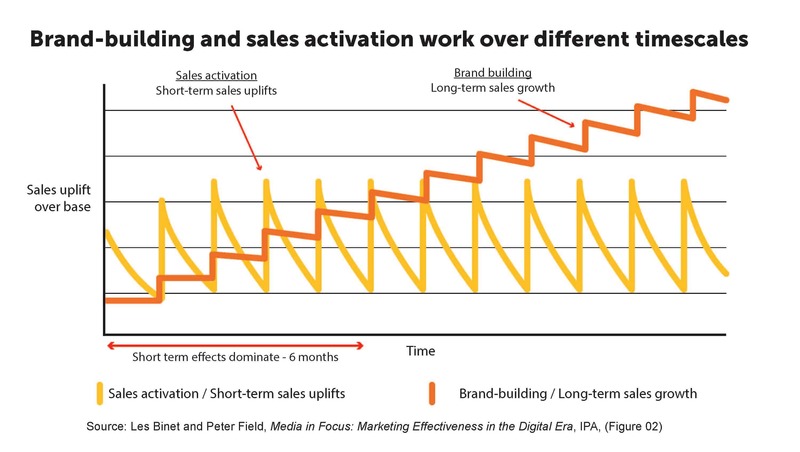 It’s also worth referring to this Ebiquity study when planning your 2019 activity too.